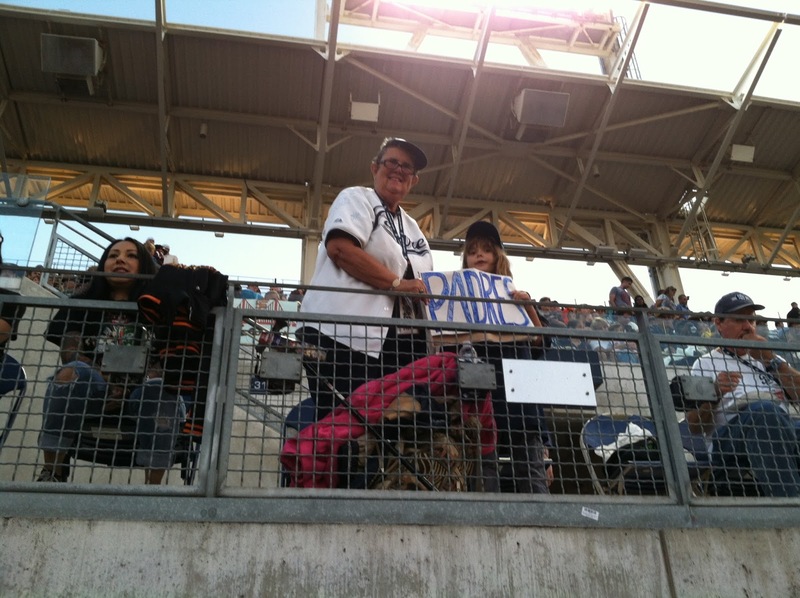 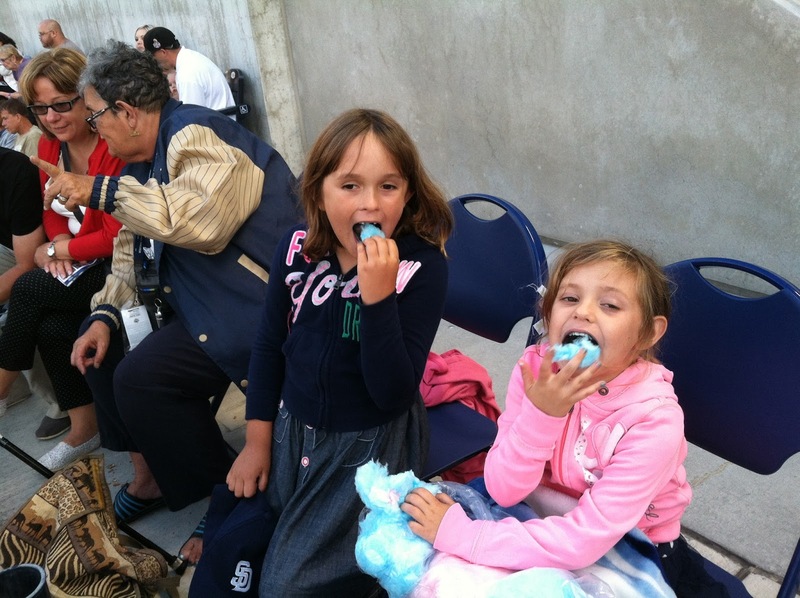 We took the grandgirls to the Padres game every chance we had with our 20-game season ticket plan. In July 2013, we went again. 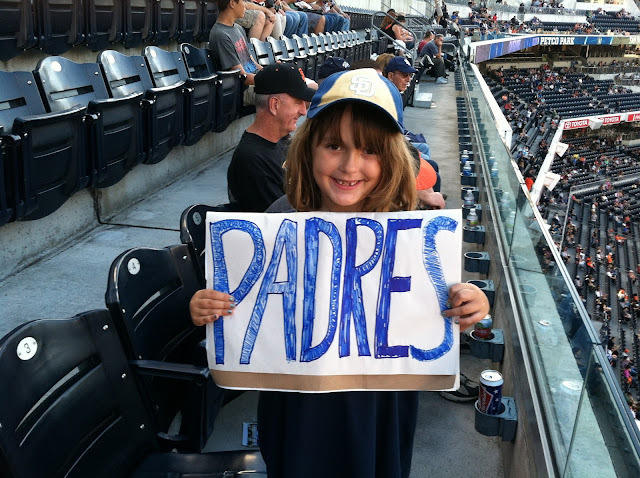 At this time, they were 8 and 5 years old and excited about going to the game, wearing Padres gear, making a sign, eating all of the goodies, and getting on the video board by cheering wildly. 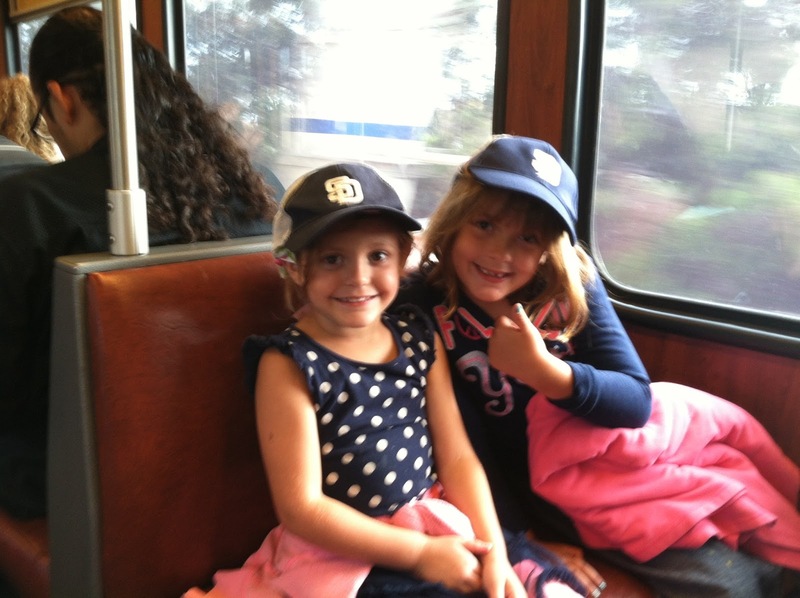 I still don't know if they understand the game, but we always have fun. The girls still want to go to the games, but we go to only a few Saturday games. 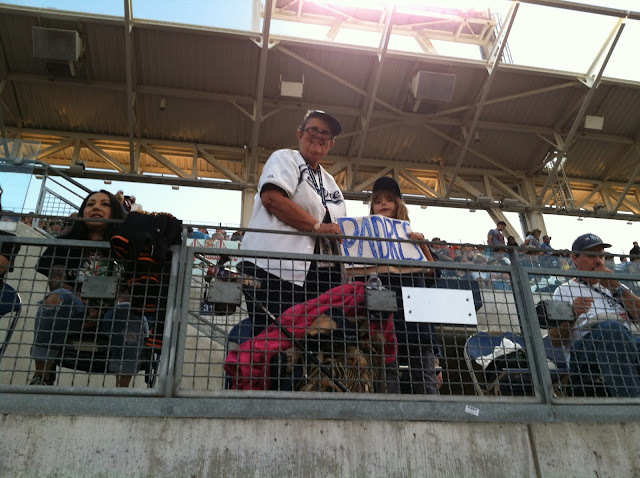 Hopefully, they will always remember the fun times they had there with their grandparents.